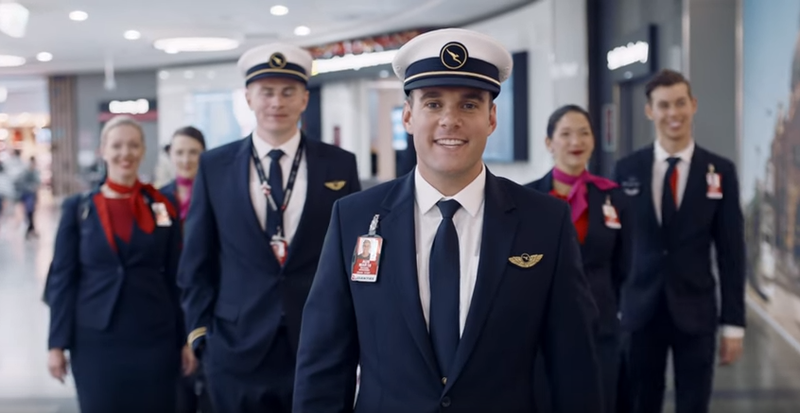 Qantas has released its latest inflight safety video featuring everyday Australians sharing the Aussie spirit with locals in some of the airline’s destinations around the world. Playing cricket on a rooftop in Tokyo, riding in the front seat of a taxi in New York, indulging in a “Tim Tam Slam” in Johannesburg and tone-deaf barracking for the Wallabies in the heart of All Blacks territory in Auckland are some of the ‘Australian-isms abroad’ featured alongside safety instructions for travelling on Qantas aircraft. The classic Aussie phrase “no worries” also features in a conversation between a couple traversing the Andes in Chile. Set to a modern take of the anthemic I Still Call Australia Home, the video starts with a frequent Australian rite of passage as a young woman says farewell to her family at Melbourne Airport and ends with an off-duty Qantas pilot at Cottesloe Beach in Western Australia. In between, about 20 Australians who are living in or visiting the destinations shown, explain lifejackets, emergency exits and why you should always ask for help if your phone slips between the seats. The approach is an evolution of Qantas’ recent safety videos that focused on Australian destinations. 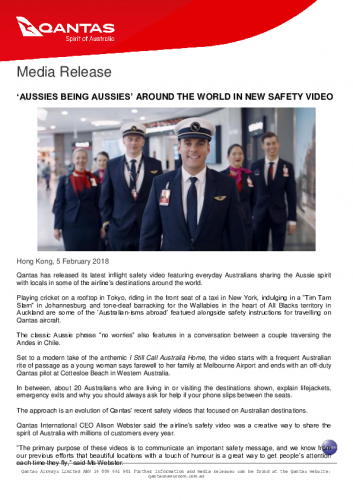 Qantas International CEO Alison Webster said the airline’s safety video was a creative way to share the spirit of Australia with millions of customers every year. “The primary purpose of these videos is to communicate an important safety message, and we know from our previous efforts that beautiful locations with a touch of humour is a great way to get people’s attention each time they fly,” said Ms Webster. “This video lets us show off some of the amazing places you can travel on our network, and acts as a quick induction on Australian culture for visitors overseas about to fly here on a Qantas aircraft. “We use real people, rather than actors, in our safety videos because it creates a sense of authenticity that’s very Australian in itself,” she added. Qantas worked with international and Australian state tourism organisations to make the film over five weeks. 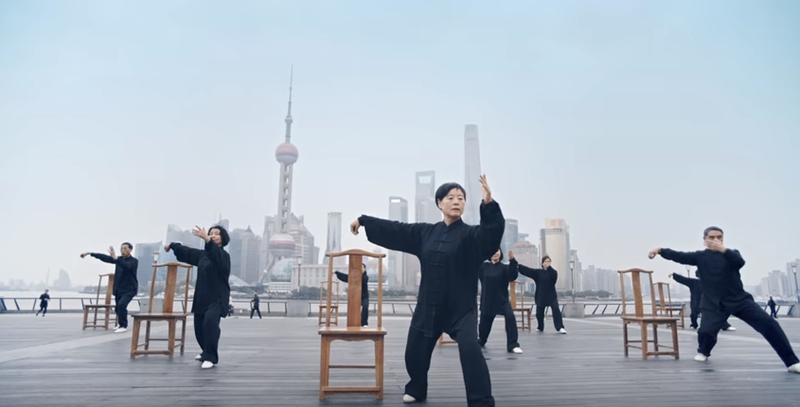 The new video will begin screening across Qantas domestic and international flights from April with different versions to accommodate eleven languages, as well as the varying aircraft types across the Qantas fleet. A summary of the featured destinations and scenes is below. Founded in regional Queensland in 1920 – as Queensland and Northern Territory Aerial Services – Qantas is one of Australia’s most iconic brands and has played a central role in the development of the Australian and international aviation industry. Today the Qantas Group is a diverse global aviation business, comprising Qantas Domestic, Qantas International, the Jetstar low-cost carrier group, and Qantas Loyalty. Operating more than 7,300 flights each week, Qantas Group carries over 50 million passengers each year to more than 1000 destinations around the world together with its codeshare and oneworld partners. For the fourth year in a row Qantas has been ranked the world’s safest airline by AirlineRatings.com, one of the top 10 airlines in the world by Skytrax, and holds many major awards for service, food and wine, technology and innovation.